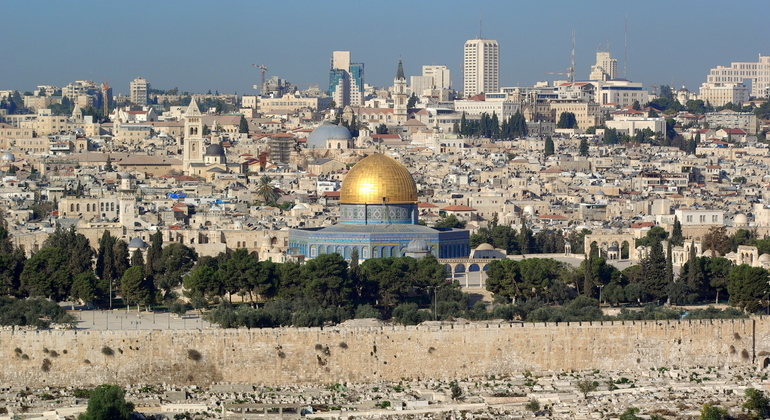 Jerusalem: the Golden City, the Eternal City, the Holy City. No other city means so much to so many people. Walk with an expert guide through 4000 years of history in the footsteps of kings, emperors, and prophets. The Four Quarters of the Old City walking tour offers a general introduction to some of the most interesting highlights of the city. Experience Jerusalem like a local! There is no way like seeing Jerusalem then by going up to the Old City Walls. 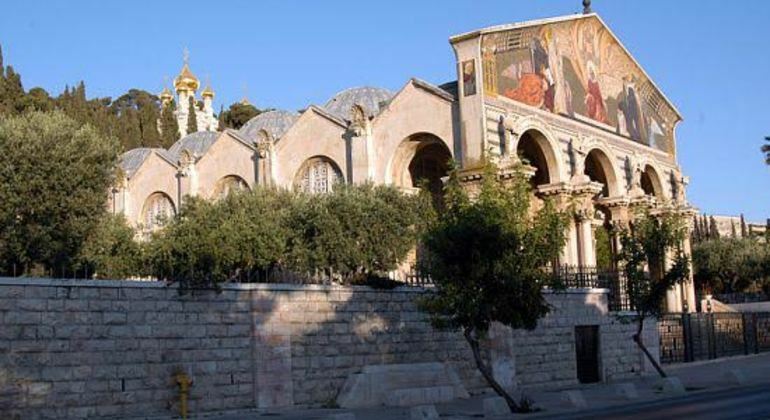 Featuring a panoramic view of the Old City along with Dormition Abbey, King David's Tomb and Coenaculum. 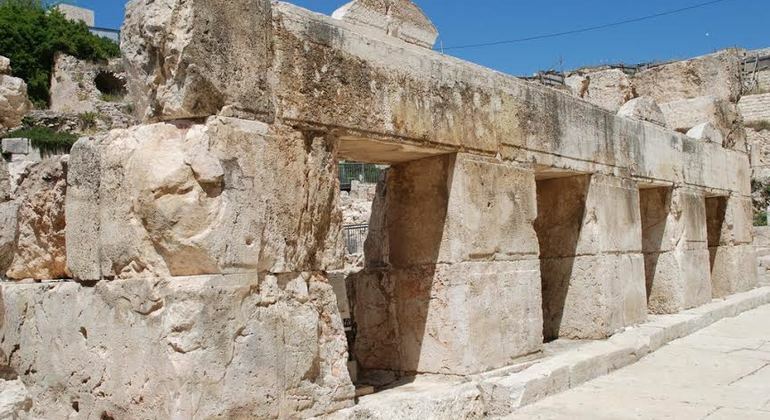 The Mea She'arim Neighborhood Tour is an insightful tour where you get to explore and learn more about the historical Mea She'arim neighborhood, one of the oldest Jewish neighborhoods in Jerusalem. 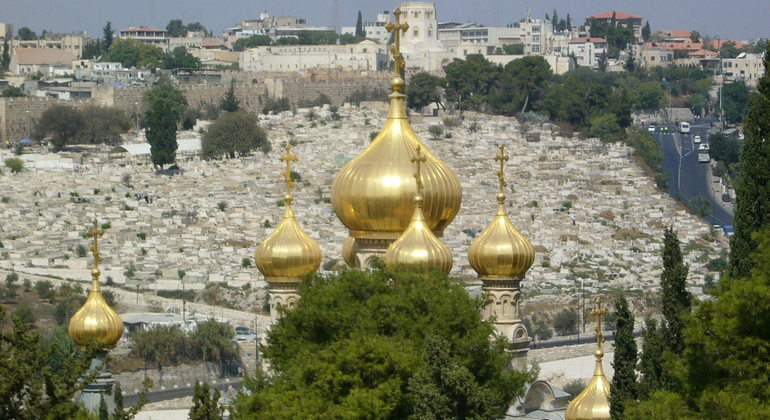 The Mount of Olives is a historical and interesting tour. It features the Mount of Olive, named for the olive groves that once covered its slopes, and includes mosques and churches of Jerusalem. 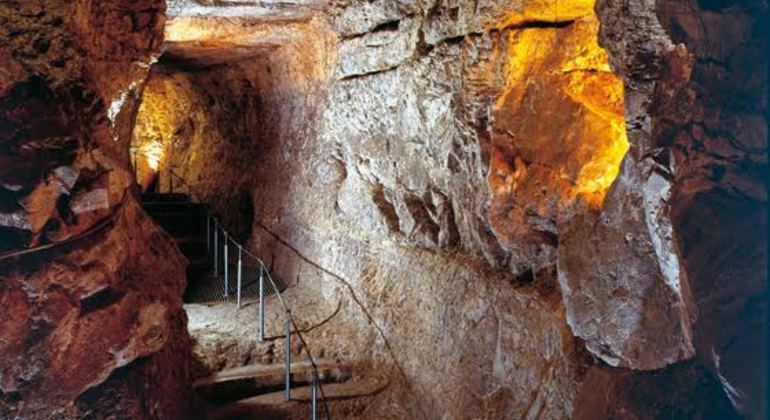 Not for the faint of heart, the City of David Tour goes deep into the archaeological site of the ancient city. The tour is truly a fascinating experience. Have you ever had a dream of being in a middle of adventure, discovering ancient monuments with a whip in your hand? The Archaeological Tour is here to fulfill your dream and throws you into the footsteps of the pilgrims! Celebrate beauties of the Old City in a cozy and an exclusive way. 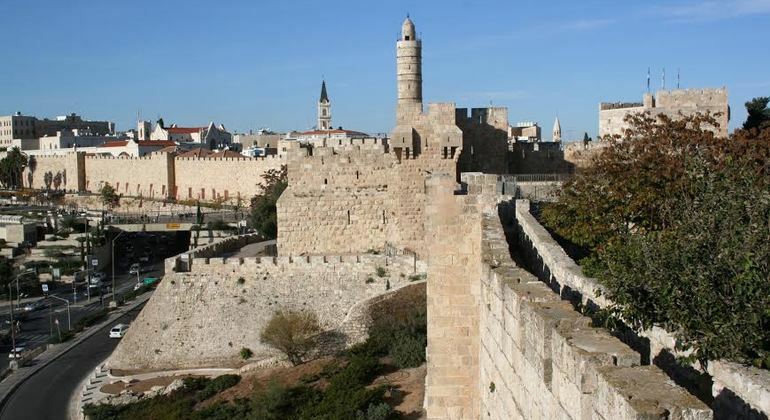 This private full-day tour is designed to excite and leave the best recalls about Jerusalem. 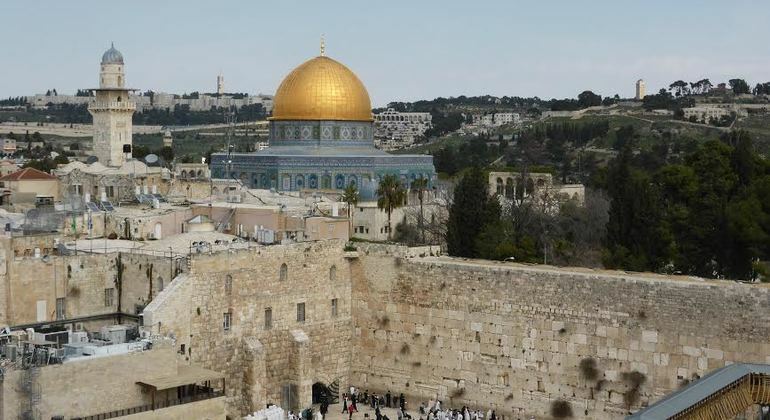 We will see the remains of King David's mansion, the Western Wall, the Temple Mount and have a walk through Jerusalem history on this historical tour. Jerusalem has long been held in high regard & reverence by Muslims, Jews & Christians for centuries – a destination for pilgrimage & worship, Jerusalem is a truly unique city. But you don't need to be religious to be affected by this city steeped in ancient history & heritage. To stroll the narrow cobblestone paths & alleys in Old Town is to stroll back in time as the air fills with a cacophony of church bells, muezzin's call & bustling sounds of market-stall vendors selling colorful fabrics & rich aromatic spices. Joining a freetour.com recommended walking tour in Jerusalem is an ideal way to get the most from your time here. With so much to see & do, learn & explore, having a friendly local guide is a perfect way to orientate yourself & get to grips with the wonderful history & significance of Jerusalem. 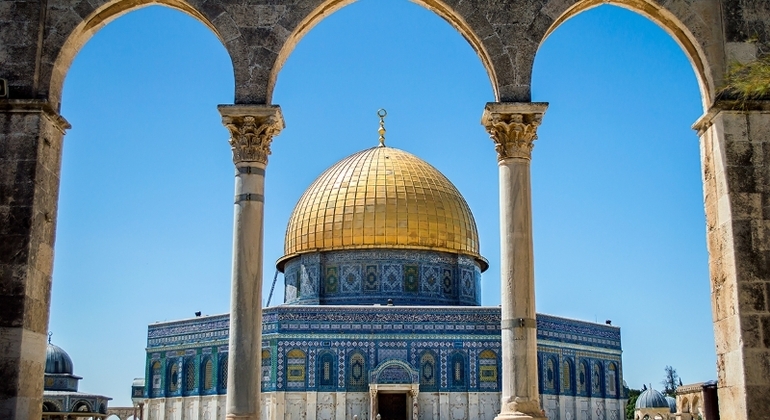 Walk on the rooftops of the Old City's markets, venture into underground passages like the Western Wall tunnel, see the Armenian, Christian, Jewish & Muslim quarters, the Church of the Holy Sepulchre, Garden of Getsemane and so much more. Beyond the Old City, the more modern upscale metropolis of West Jerusalem awaits you with a vibrant social scene, fine restaurants, trendy cafes and busy markets. However you spend your time here among the sacred relics & golden hue of Jerusalem-limestone walls, one thing for sure is that this place will leave a lasting impression on you.